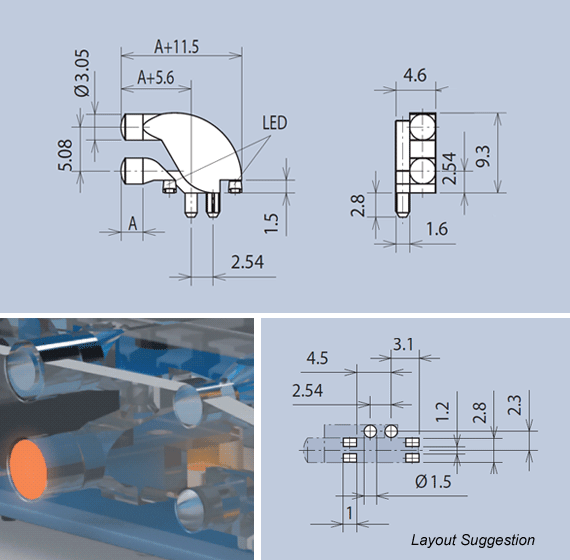 This two-row light guide system can be used as an FEL substitute in a 5.08mm pitch and is mounted on the PCB via press-in lugs. An integrated diaphragm prevents light bleed, thus allowing the use of mixed colors with optimum optical quality. The light guides are used in conjunction with SMD LEDs. As well as this single column (2-light guide element) version, the system is available in 2-column (4 element) to 10-column (20 element) versions - (see part nos. 1270.1002 - 1270.1010). Whilst standard length A is 8.1mm, infinite variations up to 45mm are possible, often with minimal or no tooling costs. This single column 2-row light guide is available as standard in Length A of 2.5mm or 6mm. 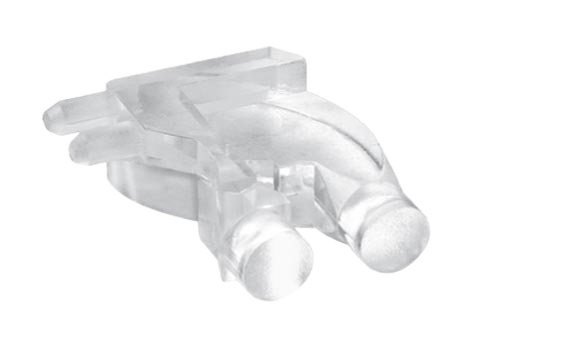 Infinite variations from 0.5mm to 20mm are possible, often with minimal or no tooling costs. This light guide can be used as a FEL substitute, arranged end to end with similar FEL-components. The ESD-protection is 6,5kV at a length A of 2.5mm. This increases per millimetre length by approx. 1kV. 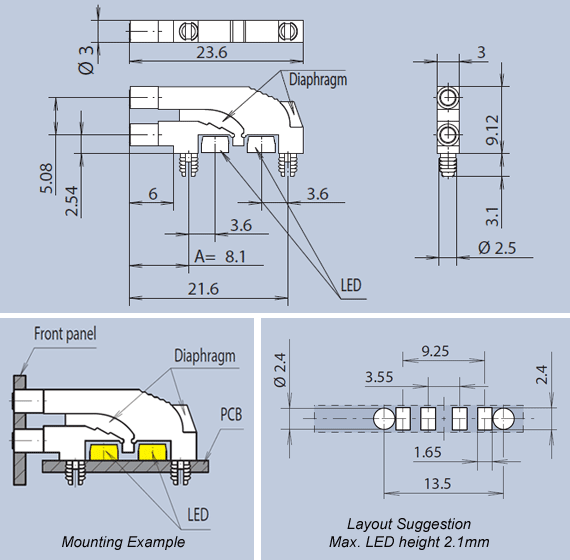 The light guide is held in place on the PCB via two press-in lugs and is designed for use with Mini TOPLED SMD LEDs.